New patients receive Free Consultation & Exam! Call us at 712-255-5511 to take advantage of this exclusive offer. Since 1980, Dr. Cliff Meylor has delivered prompt, natural health care to the Sioux City community. Dr. Meylor's passion for chiropractic therapy is apparent in the way he treats his patients... like family! In fact, more than 30 members of his family are chiropractors, including a son, daughter and son-in-law that practice in Kansas City. As a convenience to his patients, Dr. Meylor continues to provide care in the same location on Hamilton Blvd. So, if you are looking for drug-free, non-invasive chiropractic care from a trusted member of your community, look no further than Dr. Cliff Meylor. Let Meylor Chiropractic Clinic help you get your life back! A car accident. A fall from a ladder. An errant step off a curb. From whiplash to nagging neck, back or leg pain, a simple accident can cause an injury that can turn your life upside down, often for years, if not treated and rehabilitated properly. We offer state-of-the-art, proven chiropractic techniques to achieve optimum results. Our techniques include chiropractic adjustments, "needle-less" acupuncture, physiotherapy, traction, rehabilitation and so much more! Dr. Cliff Meylor's focus is the health and healing of the total body. Our goal is finding the root cause of each patient's symptoms. We are committed to delivering gentle, natural treatments to alleviate the pain and restore the balance that leads to optimum health and well being. Our staff is trained in diagnosing and treating chronic and degenerative conditions using gentle, non-invasive techniques and procedures. We'd like to make a difference for you. What do a crushing tackle, a spinning dunk shot and a killer drive have in common? 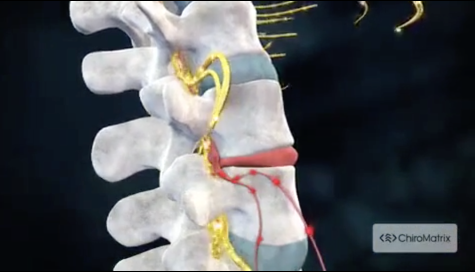 The ability to wreak havoc on your spinal alignment! Whether you're an athlete or a weekend warrior, sports injuries happen. At Meylor Chiropractic Clinic, we know what it takes to alleviate the pain, limitations and frustrations of sports injuries. We know how to restore your range of motion, improve balance and get you back in play. "I had a accident 2 years ago. No broken bones, but I was black and blue from head to toe on my right side. He adjusted me on the first day and used acupuncture with out needles. I slept good that night for the first time in a long time. I have a great attitude and love for life again. Dr. Meylor gave me at least 20 more years of great life to live!"